Posts tagged "letter of intent"
Checklist for selling or buying a small business: Starting a business is relatively simple, especially if you have worked with a startup lawyer. Selling your small business, however, may be more challenging than you anticipated. Forming a new business is not challenging. You can form a business just as quickly as you ask your small business lawyer to file the papers with the corporations department or in Washington DC with the Department of Consumer and Regulatory Affairs. Selling a business is a lot more challenging than forming a business. There may be many reasons to exit and you now want to receive the full value (value is in the eye of the beholder of course) of the company that you started. You will need the services of your business advisers, your tax advisers and of course your mergers and acquisitions attorney. 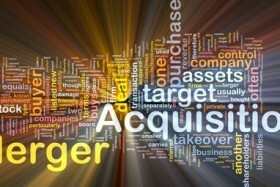 This article highlights some of the guideposts in the merger or acquisition of a small business.